At Ma’ayanot, students take an active role in envisioning, initiating and planning school programming. Committees such as Yamim (Yom HaZikaron, Yom Ha’atzmaut, Yom Yerushalayim), Chesed, MIPAC (Ma’ayanot Israel Political Action Committee), TAP (Torah Activities Programming), HEC (Holiday Enhancement Committee), Remembrance (9/11, Kristallnacht, Yom HaShoah) and Tefillah have student executive boards and heads, who work hand in hand with expert faculty advisors to plan programming for chagim, Israel awareness, Chesed Trips, and Mishmar. Through the hands-on experience gained by leading committees, students leave Ma’ayanot with the experience and skills to take on leadership roles on their college campuses, in summer camps and in the greater Jewish community. The Yamim Committee develops programming for Yom Hazikaron, Yom Ha’atzmaut and Yom Yerushalayim. 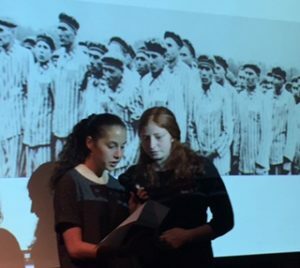 They create meaningful ceremonies commemorating Israeli soldiers who were killed in wars, bring in IDF soldiers to speak on Yom HaZikaron, and educate the student body about historical events surrounding the State of Israel, such as “29 b’November”, the day the U.N. voted on Partition. They also plan a fun chagiga and barbecue for Yom Ha’atzmaut. The Chesed Committee organizes individual as well as school-wide chesed projects. Participants become empowered to plan creative programs for those in need, while developing a deeper sense of sensitivity and empathy towards the less fortunate. 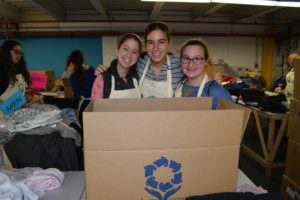 Some of the highlights include organizing chesed trips to soup kitchens and nursing homes and participating in the Midnight Run, where students stay up late at night handing out food and toiletries to people who are homeless. The Chesed Committee also organizes chesed programs for the school Shabbaton and Mishmover. Students on the Tefillah Committee look for ways to make daily tefillot more inspiring and meaningful. This committee also works to pick tunes for tefillah and organizes tefillot for those who are ill. 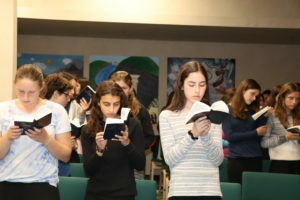 They organize special programs, such as “Tefillah under the Trees” and special programming for Tefillah on the school Shabbaton, as well as for Rosh Chodesh and Yom Ha’atzmaut. The Remembrance Committee works to create experiential programming to enhance commemoration of various days on the Jewish and American calendars. The committee develops a vision for each of these days and implements it through memorial ceremonies, transforming spaces and social justice activities. The Remembrance Committee has developed programming to mark 9/11, Kristallnacht, Yom Hashoah and Memorial Day. The Holiday Enhancement Committee develops programs that prepare students for both Jewish and American holidays and commemorations. 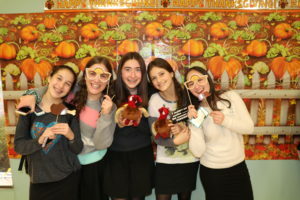 Whether by decorating the lobby and MPR, selling Shabbatograms before Shabbaton, running a “seudat Hodaya” and special program for Thanksgiving, running Friday Erev Shabbat ruach at breakfast or making amazing Rosh Chodesh celebrations, this committee enhances the festive spirit of the school throughout the year. MIPAC is Maayanot’s pro-Israel action committee. It focuses on Israel advocacy and education, how to respond to BDS, and how to lobby our elected officials effectively for Israel. 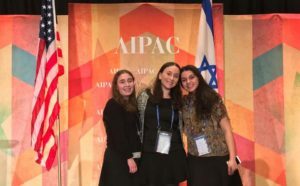 MIPAC participates in AIPAC missions to Washington, D.C., and through tefillah announcements and articles in the Stream, works to keep the student body informed and up to date on all important issues regarding the Jewish State. Ma’ayanot G.O. 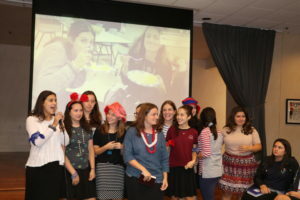 members take an active role in planning and implementing programs throughout the year, including Shabbatonim, grade bonding events, and special holiday celebrations. Through this experience, G.O. members learn about themselves and their leadership abilities, as well as the value of working as part of a team. They bring ruach, energy, and excitement to all Ma’ayanot events.